Late last month BitScan launched their new mobile applications, including a revamp of the company’s popular iOS application. The app is completely redesigned and streamlined for speed. Furthermore, in response to customer demand, the BitScan team has also launched a mobile application for Android. This launch comes months after the company began its crowd-funding of the Android version, which reached a third of the way to its goal in just five days in early March. BitScan provides one of the largest Bitcoin directories and currently consists of over 6,000 merchants in more than 130 countries. The company believes that the continued promotion of Bitcoin commerce is key to the mainstream adoption of the virtual currency. In the months previous, BitScan has been focused on the development of their mobile platforms and website, designing them to support efficiency, speed and scalability for their users. BitScan for Android was released on March 25 and much like the iOS application, provides users a source for Bitcoin news, and a location based Bit Trade Map and Bit Trade Listing platform. The release of the Android version of BitScan was supported by the company’s ambitious product development schedule that began earlier this year. They invested heavily in back-end technology and re-organized their data behind a REST API (representational state transfer), which has caused huge gains in application performance and made for a simpler user interface. Within the application is Bit Buzz, a bitcoin news source which allows users to keep up with news regarding virtual currency from their mobile device. These stories are displayed in a very mobile friendly manner and contain valuable information into the cryptocurrency community – for both the basic and advanced user. By far one of the best parts of BitScan’s mobile application is the Bit Trade Map. This interactive map provides pinpoint locations of Bitcoin merchants throughout the world and is as easy to use as other mobile-based map applications. In addition, users can also use the zoom function to explore every merchant around the world, which is perhaps the most eye-opening part of the application. Seeing the blue Bitcoin icons of the 6,000+ merchants gives a glimpse into just how large the Bitcoin community has become since its humble beginnings years ago. 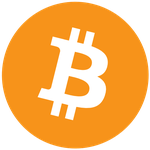 The application takes into account the user’s location and finds businesses and service providers in their area that accept Bitcoin. When the user finds the business, they can research their findings in further detail with a simple finger press. BitScan also provides users with contact information for each merchant, including phone, email and website. Furthermore, the Bit Trade Listing feature allows users to see the same details contained on the Bit Trade Map, only in list form. The list is sorted by the merchant nearest to the user’s location and still provides further information on each merchant when pressed. To download the application on both Android and iOS, simply search “BitScan” in the respective app-store.